The famous brand owner of ‘Arpico’ and Richard Pieris and Company PLC Chairman, billionaire Dr. Sena Yaddehige has been charged with insider dealing by the Securities and Exchange Commission (SEC), with the matter currently at the Fort Magistrate’s Court, a recent media report said. Accordingly based on the findings of investigation bearing reference number SEC/INV/16, the SEC has found Dr. Sena Yaddehige liable for insider trading involving shares of listed company Kegalle Plantations PLC and for knowingly providing false, misleading information and concealing material facts during the course of the subsequent investigation. The Richard Pieris Group contains approximately 49 companies and provides employment to approximately 32,000. Kegalle Plantations PLC is the largest rubber producer of Sri Lanka. The report said that an application of writ requesting the Supreme Court to compel the SEC to Compound Yaddehige in terms of Section 51 of the SEC Act No. 36 of 1987 has been filed with the hearing set for Tuesday (2 April). The matter concerns share trades which took place between 30 June 2015 and 10 July 2015. As our Court Correspondent gathered from the filings before the courts, Yaddehige had announced at the Kegalle Plantations AGM that there would be no dividend, but within a week an unusually high dividend of Rs. 45 per share had been declared. The report also satted that within that week, a shareholder had sold shares which were bought by Dhanasiri Recreations Ltd., which had by then bought a trust of which Yaddehige was a beneficiary in the Channel Islands. The shareholder who sold the shares then complained to the SEC that he lost close to Rs. 20 million as he relied on Yaddehige’s announcement, after which SEC commenced the investigation. The investigations had taken place from early 2016 to October 2017. 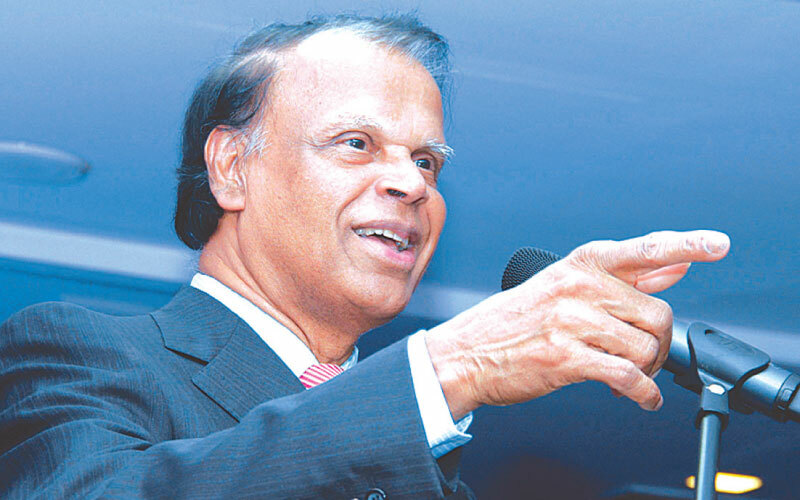 The SEC on 7 March 2019 filed action before the Fort Magistrate’s Court against Yaddehige, for dealing in the shares of Kegalle Plantations PLC (KGAL) listed on the Colombo Stock Exchange, being the Chairman of the Company, just before the Rs 45/- dividend was declared by the company on 10th July 2015, which is in breach of Section 32 of the Securities and Exchange Commission of Sri Lanka Act No. 36 of 1987 (as amended). The SEC also cited Subramanium Thinamany as a Defendant in this case for aiding and abetting Yaddehige to commit the offence of insider dealing. The report added that the Learned Magistrate having taken cognizance of the submissions of Sudarshana De Silva, Deputy Solicitor General of the Attorney General’s Department who appeared for the SEC, issued summons on Yaddehige and Thinamany to appear before the Magistrate on 28 March 2019. On that day Thinamany appeared before the Learned Magistrate while the Attorney-at-Law who represented Dr. Yaddehige took notice of the next date Dr. Yaddehige was required to appear before the Learned Magistrate. Shaheeda Barrie, Senior State Counsel of the Attorney General’s Department making submissions on behalf of the SEC objected to Dr. Yaddehige’s request. Upon hearing the submissions of both parties the Court of Appeal bench comprising Justice Kumudini Wickramasinghe and Justice Mahinda Samayawardane refused to grant the interim relief sought by Dr. Yaddehige. The next hearing at the Fort Magistrate’s Court is set for 24 April 2019. Thereafter, Romesh De Silva PC on Friday (29 March) filed an appeal at the Supreme Court against the Court of Appeal’s decision not to grant interim relief, with the hearing set for Tuesday. Section 32 of the SEC Act No. 36 of 1987 sets out the prohibition on insider dealing and the stock market regulator has previously compounded prominent corporate leaders. because of this gentleman , i made the highest dividend income as one shot in my entire life, That is called Kegalle plantations. at the time they announced i was not able to believe it, so again i contacted to CSE to ensure whether its a mistake or not . they told as received they published and no mistake happen . i was grateful to KGAL regarding such a huge cash rewards as a share holder during that time . but how ever now its crystal clear again and again sharks are controlling CSE & dirty switches are always on.